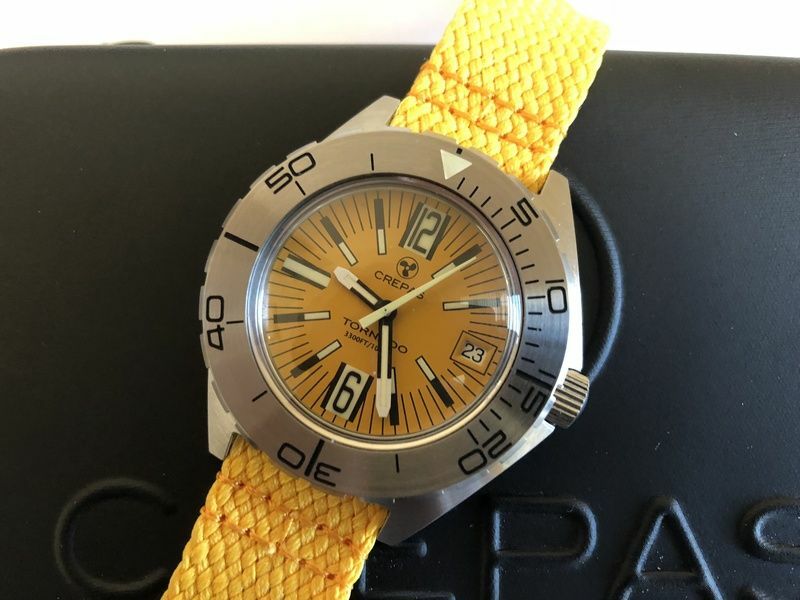 Super cool yellow dial Crepas Tornado. 43mm stainless case (41mm across the bezel) with a few slight marks under the lugs from previous owner's strap changes. Protective sticker still on case back. Screw down crown. Awesome domed acrylic crystal. Automatic Swiss ETA 2824-2 movement keeps good time. On yellow Perlon strap with signed buckle. 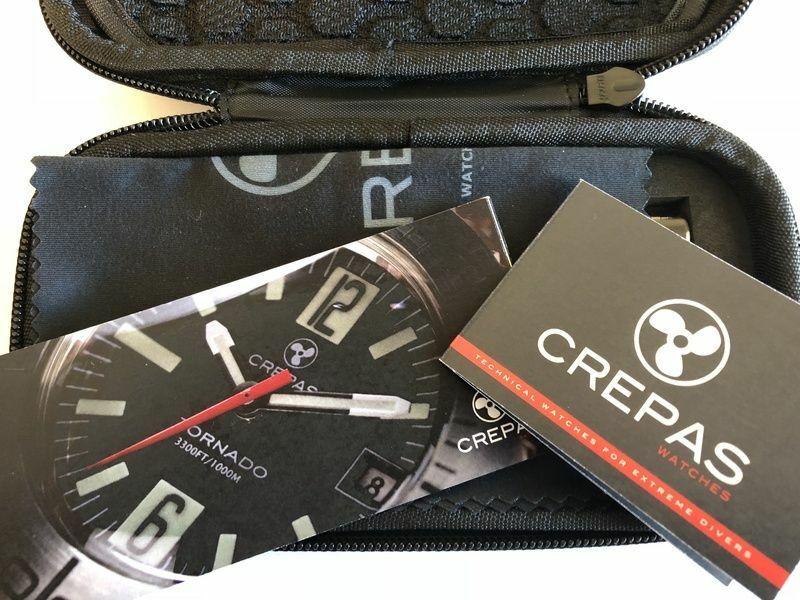 Comes with case, papers, and extra spring pins. Bracelet, NATO, and strap changing tool were missing when I got it. Please excuse the dust in pics. Sell for $360. shipped in the U.S. Contact steve.oliverio(at)gmail.com or PM if interested.